We relive the Hawks’ famous FA Cup trip to face Liverpool at Anfield on Saturday, January 26, 2008. The Conference South outfit gave their Premier League hosts a real scare as they twice took the lead on Merseyside. The Hawks’ dream of a giant FA Cup upset was dashed at Anfield but not before giving mighty Liverpool an enormous scare on their home patch. Shaun Gale’s side had the audacity to take the lead twice against Rafael Benitez’ multi-million pound outfit before the Reds eventually earned a flattering 5-2 victory. Richard Pacquette put the Hawks ahead before Lucas equalised only for Alfie Potter to fire the non-leaguers into another shock lead. But Yossi Benayoun’s hat-trick and Peter Crouch’s late strike ended the visitors’ hopes of the greatest FA Cup upset of all time. The Hawks left the field to a standing ovation from all around Anfield after their heroic display. Earlier the Liverpool fans had given their Conference South visitors a rousing reception prior to kick-off, while the 6,000 Hawks fans made their presence felt in a capacity Anfield crowd. The traditional rendition of ‘You’ll Never Walk Alone’ was an emotional moment as the teams took to the field amid a sea of scarves among the spectators. The home side sparked the first major alert in the Hawks defence as John Arne Riise’s dangerous cross was headed away at full stretch by Tom Jordan. But just moments later, Gale’s side survived a major scare by the skin of their teeth. Jermaine Pennant skipped away down the right flank, beating Potter to provide a delightful cross, only for Benayoun to somehow head inches wide from just six yards out. While that was a fortunate let-off, the Hawks fired a dangerous warning shot of their own moments later in enemy territory. A lucky ricochet from Pacquette’s heel fell to Mo Harkin, who cut inside and his angled pass found Potter’s run only for Sami Hyypia to make an important block. The Hawks, however, were in dreamland in the eighth minute as they took a shock lead to send their supporters crazy. New Liverpool defender Martin Skrtel needlessly gave away a corner with a poor backpass and PACQUETTE made them pay as he rose to head home at the near post from Harkin’s corner. Liverpool attempted to hit back soon afterwards as Riise almost levelled the scores with a clever chip from the edge of the box that beat Kevin Scriven but landed on the roof of the net. The Hawks were looking particularly dangerous from set-pieces and Reds’ keeper Charles Itandje was causing a few heart-stopping moments, especially when he hared out to a cross only to present Neil Sharp with a clear opportunity. But the defender could only volley over the crossbar with the goal at his mercy. Parity was restored soon afterwards as Brazilian midfielder LUCAS curled home a beauty from 25 yards for the equaliser. Ryan Babel’s industry saw him find possession and lay off for his team-mate, who took aim and found Scriven’s top corner with a touch of real class. 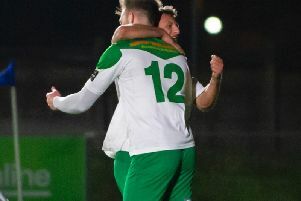 Anyone expecting the floodgates to open, however, could not have been more wrong as the battling Hawks incredibly went 2-1 up in the 31st minute, as they resurrected the dream of the most famous FA Cup upset in history. Jay Smith dug out a cross from the byline, Skrtel couldn’t clear his lines and Shaun Wilkinson’s headed pass for Potter should have been dealt with by Steve Finnan. But the Irishman stumbled, allowing POTTER to capitalise and his shot found the Liverpool net via a deflection from the hapless Skrtel. The Hawks’ depleted defensive resources suffered another blow when Phil Warner was forced off with a thigh injury – with Tony Taggart coming on to replace him. After Riise’s free-kick was deflected narrowly wide, Liverpool were again back on level terms just a couple of minutes before the interval as BENAYOUN struck. Babel’s diagonal run drew defenders towards him, Pennant laid off a neat pass and the Israeli did the rest with a sweet finish past a wrongfooted Scriven. Liverpool began to exert the expected pressure on the visitors early in the second period but Jordan and Sharp were there when necessary with some vital blocks. The Hawks were being pushed further towards their own goal. But they were remaining compact and difficult to break down as they restricted the home side to long-range efforts. Gale’s side were also a genuine threat on the counter-attack as only a last-ditch tackle prevented a Rocky Baptiste and Pacquette breakaway. The Premier League giants finally made the pressure tell as they scored twice in a matter of three minutes to effectively put an end to the Hawks’ brave challenge. First, Pennant made another raid down the right and his low cross found BENAYOUN, who fired home via the underside of the crossbar. And BENAYOUN completed his hat-trick shortly afterwards as he was on hand to tuck home from close range after Scriven could only parry Babel’s low drive from the edge of the area. Both managers introduced substitutes to the game in quick succession as Dirk Kuyt replaced the hat-trick man Benayoun while Hawks assistant manager, Charlie Oatway, replaced Wilkinson. Kuyt should have added his name to the scoresheet five minutes from full-time after more fine work by Pennant saw the winger deliver a deep cross from the right-wing. But the Dutchman’s downward header clipped the top of the crossbar when he should have hit the target. The Hawks nearly grabbed a late consolation when Sharp’s header produced a brilliant reflex save from Itandje, while Baptiste saw his effort from the rebound blocked. With Steven Gerrard and Jamie Carragher both on as substitutes, Liverpool put the finishing touches to the scoreline. Crouch tapped home from close range after Gerrard’s burst down the inside-left channel.